With the previous paragraph in mind, coming in to plan the Capacete wedding was an absolute honor and privilege. From day one, their love for one another and God radiated out from them. They truly are one of the most compassionate and genuine people I know. While planning, they would consider how they might share about the love God has for everyone. One example, they shared communion during their wedding ceremony (but Pastor Brad Jr. did resist the opportunity to give an “altar call” i.e. do you want to accept Jesus Christ as your personal Lord and Savior? :). And it goes without saying, many wedding couples get married in a church and then carry on with their lives as though God exists only if someone dies or is born, its Easter or Christmas. This. breaks. my. heart. [Because He wants so much more for us]. But this couple was different. Now that you know a little about them, you can understand why it was so important to make sure their wedding day celebrated what God had already done in their lives and excitement over what he would do with this couple, after marrying. Come their wedding week, there was a forecast of rain. 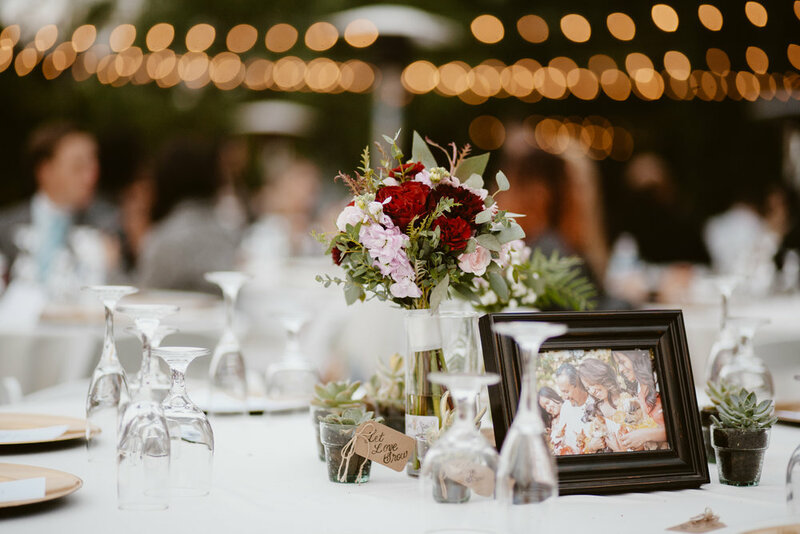 I will never forget this one tender and intimate meeting we shared at Panera Bread when I shared my own wedding day was forecasted to rain and the day looked blistery – sadness and worry especially with an outdoor venue. But to mine and my husband’s awe, as the start time neared, the clouds cleared and God’s bright and warm sun radiated ever so gloriously, as though he were delighting over our covenant. I told the couple to have faith. Victor shared his story of how he came to know Christ (see paragraph one). And the future bride asked, ‘Would it be weird if I said I love you.’ My quick reply, ‘No, because I love you guys, too!’ Hugs. Happy tears. Smiles. Wedding day weather was blistery. I received an early call from the Mother of the Bride indicating she had been receiving calls asking if the wedding was still on. Solution. I am a solutions kind of a girl, and I already had two in mind. 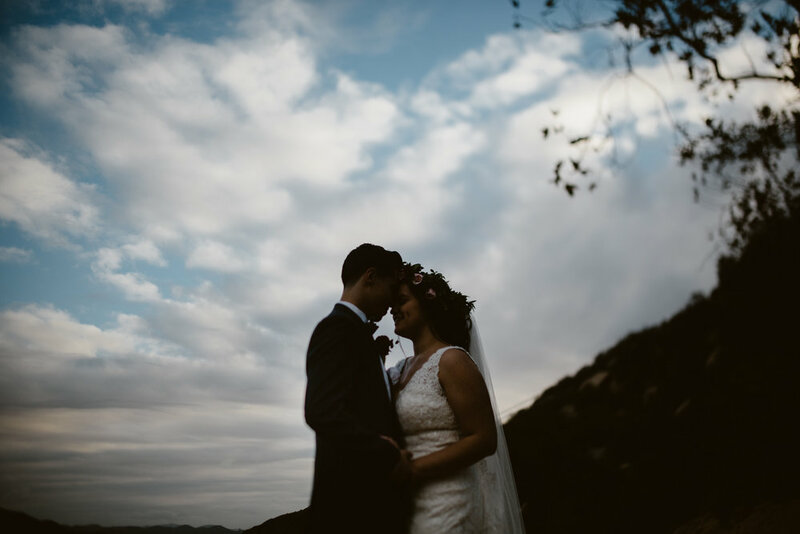 Fast forward past breakfast, purchasing 100 umbrellas and stopping by a quick minute with the bridal party, the planning team (me, my husband Rick and sister Desiree) arrived to the venue and the sky was already clearing up – thank you Lord! The tables and chairs were being set up, and the groom’s men and four gals from church youth group were right on cue to serve, as promised and needed. Linens, charger plates, water goblets, frames and wood accents down, the florist arrived and began doing her thing. SPECTACULAR, by the way, is how I would describe her work in one word. Photographer, videographer, DJ, Pastor – all on cue. Guests were even early and on-time. 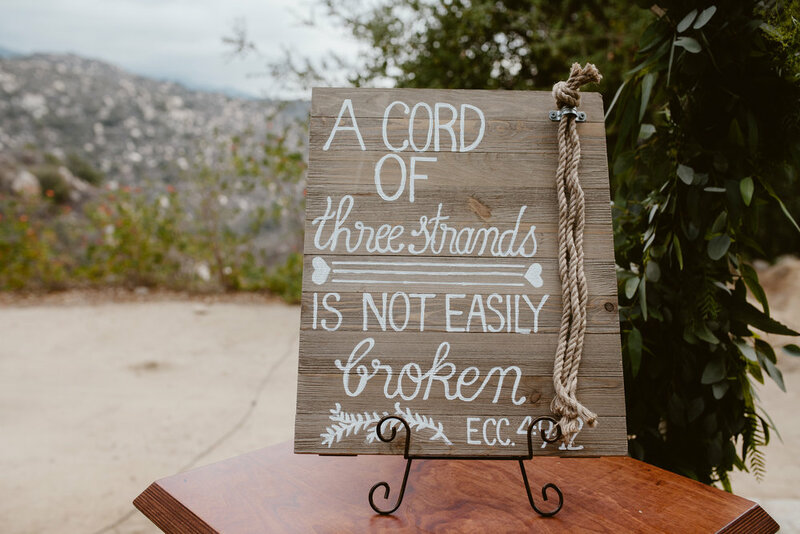 But what happens when in the back of your ear you hear the bride’s entrance song play and the entire wedding party is still lined up but not walking…do NOT panic! I run as fast as I can and cue them to start entering. Still a mystery to me, perhaps in the groom’s excitement when he went to the ceremony space after praying with his soon to be bride, he gave the cue? Regardless, the wedding party entered and so did the virtuous and shining bride. 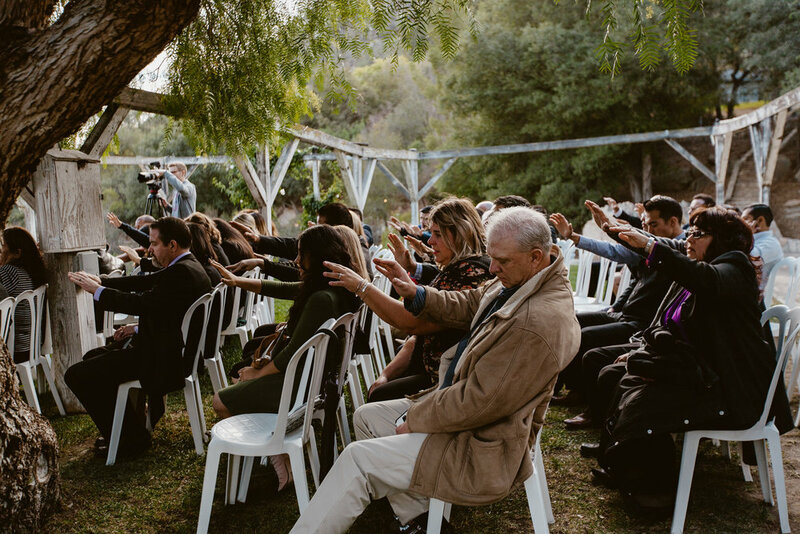 My favorite part of a wedding, beside the vows, is when the pastor has the couple face the audience, everyone raises their hand towards the bride and groom, and everyone prays for their marriage. MELT MY HEART TWICE OVER!!! 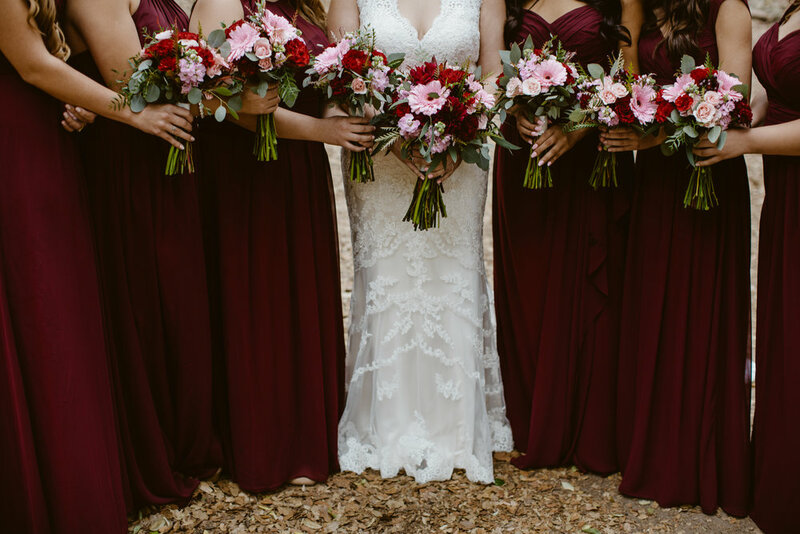 As guests transitioned to appetizers and the ceremony, the wedding party dashed away up a hill nestled between gorgeous oak trees and boulders – such a beautiful haven! And while the [female] guests were looking for the bathroom, they skipped over the appetizer area and staked out their seats in the ceremony space. One challenge was when some of the guests thought they did not have a seat. See my “Tea Party” blog for how to handle “uninvited guests.” I will also add that there will always be disagreeable guests. I try my best to accommodate every request, to the best of my ability. Most importantly, I treat them with dignity and pour the love of Christ on them – pray for yourself while doing. I mentioned earlier the weather and storm had cleared away. But there was still “rain.” Let me explain. The funny thing about sprinkler timers is that they turn on when they are programmed to. ALWAYS ASK SEVERAL TIMES ABOUT SPRINKLERS with outdoor venues because accidents happen!!! Thankfully, someone grabbed a beverage bucket and covered the active sprinkler until it was turned off. The bride’s reaction? Laughter, to my relief. I think I mentioned the bride and groom radiated? And as the bride and groom exited and the celebration ended, the drizzle began. Faithfully as promised months before, the groom’s men and four gals mentioned above also lovingly and graciously set up and tore down tables, chairs, etc. to keep cost down – they have to be faithful though. I will never forget what my husband and right-hand man told me, “Watching everybody come together, it was kind of fun, even in the rain.” The love everyone had for the couple and one other was both overwhelming and beautiful, and I was not surprised. Everything was cleaned up and packed up in 45 minutes – record time, woo hoo! The last car was shut, and as Rick and I entered his packed to the brim Toyota Scion, the. Rain. Came. Down. Every detail of a wedding is critical which makes planning so much more important. But well before I met the Capacetes and God was even on either of their radars, he was creating a masterpiece. I love when things go unexpected and even better. It is a joy to see the laughter when situations are not the most pleasant. And my soul dances when a couple loves God, honors him and makes everything before, during and after their wedding about him. “So whether you eat or drink, or whatever you do, do it all for the glory of God,” (1 Corinthians 10:31).